Its not always convenient, or even possible to attend a local music school. In this article I review some of the best options for beginners looking for online violin lessons. I played violin for years, first at high school, later in a local community orchestra. I was never much good, but it was fun, particularly the chance to play with others, and I've always been pleased that I had the opportunity to learn an instrument. When I was young the only option was to pay for lessons either in a group or for private classes. So I was intrigued when I discovered you could actually take lessons online! To be honest the violin is not that easy an instrument to learn, you don't have the frets of a guitar to guide your fingers, and you need to master the bowing technique with one hand, and the finger technique with the other, all at the same time. I was, in short skeptical that you could do that without a teacher in the room with you. So I started investigating. 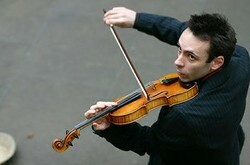 After all plenty of people don't have the time or the money for violin lessons, even if they can find a local teacher. So I decided to check out some of the popular online lessons for beginners. Well this was a surprise - back in the (mumble) 1970's Suzuki Book 1 was exactly where I started! Not only is the Suzuki series of books still available - but my first online violin lesson site: Red Desert Violin - uses exactly that book! Structured - you start with beginner lessons and slowly build up. This is critical for an instrument like the violin. 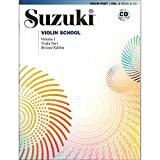 Used the Suzuki Method which has stood the test of time, its worked for 10,000's of students world wide. 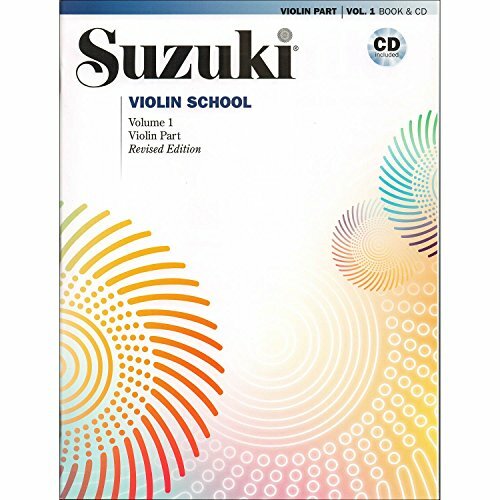 You get MP3 accompaniments for every song in the Suzuki Book 1 - the violin, particularly in the hands of a beginner, is an instrument often best played with others! Note - this is a pay monthly course. You pay for the initial month and, until you cancel (or after 6 months) your credit card will charged for each subsequent month. You can cancel at any time. There is a 60 day money back guarantee. This approach is similar to the above course - it offers step by step instruction, but is somewhat less "structured" Instead of adhering to one method - it uses a large variety of techniques (classical, blue grass, jazz) - the something for everyone approach. Variety - if you want to play jazz you can start right with that technique - and using songs you know and love. Those who are more interested in popular rather than classical music. This is a monthly subscription - you can either sign up for the paid option immediately or take the 14 day free trial. Again you can cancel at any time and pay no more. This is a little different to the two other courses I've mentioned. rather than a monthly payment which gives access to both the tutors, online forums, and ongoing lessons, in this case you make one payment and get the entire course. Completely at your pace as you have access to the entire system on payment, this may, however be over-whelming for the beginner. Tips and tricks on how to play difficult pieces and on how to memorize music. Not Yet Got a Violin - or Bored with Renting? Buying a violin can be a bit daunting for a beginner. It doesn't have to be though - finding a good violin for beginners, isn't that hard thanks to the Internet! I’ve always had questions like “is Red Desert Violin scam or legit, or what is it, is it really effective, or how does it work” in my head, causing me headache. Luckily, this review assists greatly in answering these questions.